The reliable HP print cartridge brand provides high-quality laser printing for a wide variety of corporate environments. The cartridge is designed for HP Color LaserJet CP4025, CP4525 and CM4540 MFP printers. Black Toner composition with improved ColorSphere Smart Printing technology.Average Cartridge Yield is 8,500 standard pages in accordance with ISO/IEC 19798. 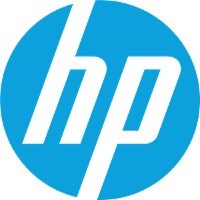 For shipping to other EU countries visit this page HP CE260A black. Für Versand nach Deutschland, besuchen Sie bitte HP CE260A Schwarz. Chcete doručit zboží do Česka? Prohlédněte si HP CE260A černý. Chcete doručiť tovar na Slovensko? Prezrite si HP CE260A čierny. Magyarországra történő kiszállításért tekintse meg ezt a termékoldalt: HP CE260A fekete.